If a run-away genie granted me a wish to clone any single living human being, I’ll have no hesitation with my choice: Nelson Mandela — undoubtedly the greatest living statesman on the planet. One might argue that Mandelas are not born; they are made. A combination of personality and historical circumstances create the rare phenomena like him. The Mandela story has been told many times by many film-makers, writers and journalists. Few other leaders have engaged the popular culture and media’s attention — while both in and out of office — as Mandela has, and with good reason. 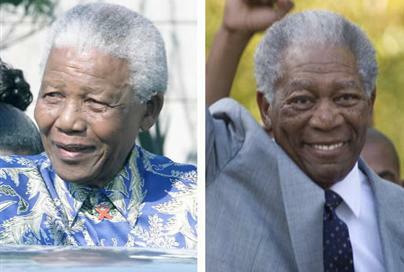 The latest film inspired by Mandela is Invictus directed by Clint Eastwood, starring Morgan Freeman and Matt Damon. Both actors have just been nominated for Oscar awards – for best actor and best supporting actor respectively. But the film’s exclusion from the 10 nominees for best picture has surprised and disappointed some. The film’s title comes from the fact that Mandela had the poem Invictus, by English poet William Ernest Henley, written on a scrap of paper on his prison cell while he was incarcerated. The story is based on the John Carlin book Playing the Enemy: Nelson Mandela and the Game That Changed a Nation. I can’t wait to see Invictus, for it has one of my favourite actors playing one of my greatest heroes. Morgan Freeman is such a versatile and accomplished actor. Having played the US President and God in past movies, this is clearly cut out for him. 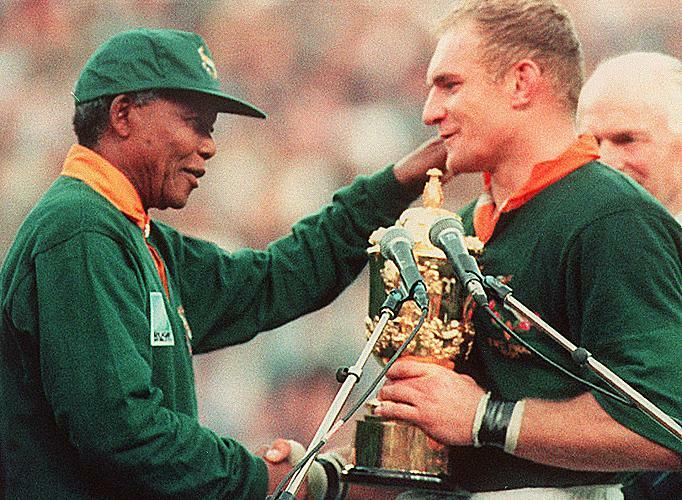 Note: In the movie, Mandela gives the “Invictus” poem to his national rugby team’s captain Francois Pienaar before the start of the 1995 Rugby World Cup. In reality, Mandela provided Pienaar with an extract from Theodore Roosevelt’s “The Man in the Arena” speech from 1910. Nelson mandela is great at many levels. It was remarkable that he was willing to forgibve decades of white tyranny. Just as remarkjable is the fact he left presidency after one term. How many African leaders willingly step down at the end of their elected term? Since writing the above blog post, I have watched Invictus the movie on DVD, and can confirm that it is a wonderfully uplifting experience. The movie appeals at both emotional and rational levels, which is a difficult combination. I was moved to tears at several points (and therefore glad I watched it in the privacy of a hotel room, all by myself). The movie is a reminder of how perilously close to anarchy and mayhem that post-Apartheid South Africa was when the newly elected President Nelson Mandela took as head of state. He had a tight window in which to pursue national reconciliation. Fortunately for South Africa, he had ample foresight, courage and capacity to balance the high expectations of his own black people without alienating the whites. The rainbow nation was not easy to forge, and it’s still a work in progress. Invictus reconstructs the decisive first 18 months of the Mandela Presidency. It was a huge gamble that could have backfired, but he took that chance — and the rest is history. there are very few talented actors that is as versatile as morgan freeman `”. Thanks for pointing this out. My mistake. I have just changed the image. « Invictus, by William Ernest Henley: Never say die!